There is definitely such a thing as a trucking accident attorney. Trucking accidents occur all the time and usually involve victims with serious injuries. And because the situation involves a commercial vehicle, the case can get a little complicated. If you are in an accident with a commercial truck, you should find an attorney with experience handling truck accident claims. The following issues are just a few considerations unique to truck accidents. They make it clear why hiring a trucking accident attorney may be critical to your case. 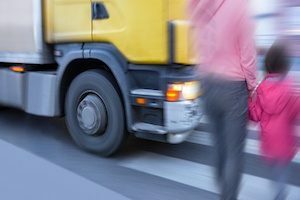 Depending on the truck company responsible for an accident, they may have the money and time to mount a strong defense in a personal injury lawsuit. This can be both good and bad. On the one hand, maybe the court will deem them legally liable for the truck accident. Then they’ll have the funds to pay any monetary judgment. On the other hand, due to the amount of money at stake, they may be more willing and able to fight any lawsuits. This can mean litigating for a longer period before obtaining a settlement or having to go through with a trial. Commercial truck companies usually only make money when their trucks are moving freight. So even after an accident, a trucking company will try very hard to make necessary repairs, clean things up and get their truck (and driver) back to delivering more goods. This is understandable. However, it can make gathering evidence tricky. Physical evidence proving negligence, poor maintenance or simply information that helps reconstruct an accident can vanish very quickly, either on purpose or by accident. Trucking companies know they should preserve this evidence. But a plaintiff can’t complain about the destruction of evidence it doesn’t know exists. Also, even if a truck has a “black box” to record certain driving parameters, those devices may have their data overwritten every few weeks or months. Therefore, it’s important to move quickly to get the data. Otherwise, it may vanish, too. Trucking companies and their drivers are subject to numerous state and federal regulations. These include how long a driver can drive during a shift to maintenance requirements for the trucks. When a truck accident occurs, some of these regulations might be in violation. Or if not, the “logs” could provide evidence that will support the claim that the truck driver or truck company is legally liable. Trucking accident attorneys know these state and federal laws and can navigate through them effectively and efficiently in a personal injury lawsuit involving a trucking accident. Schedule your complimentary consultation with a trucking accident attorney at Williams & Williams, LLC by calling 770-823-2711.